We offer a full range of Midtown property management services tailored to you as an investor, homeowner, or landlord. We have an extensive portfolio of single family homes, townhouses, condos, and apartments in the Midtown area. Are you stressed out over your tenants not paying? Are your properties taking up too much of your free time? Are you moving out of the state? Is your current Midtown management company letting you down? After the Civil War, Peachtree between what is now 8th and 12th streets was still about a mile beyond the city limits, which ended at Pine Street. 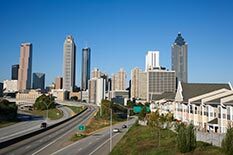 As Atlanta grew ever further outwards from its historic center, mansions were constructed along Peachtree Street. Cross streets were built and residential development began around 1880. 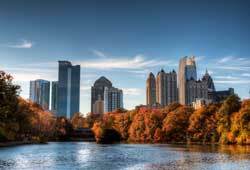 Piedmont Park was established with the Piedmont Exposition of 1887, followed by the Cotton States and International Exposition of 1895, lending the area new prominence. Electric streetcar lines extended along Piedmont Avenue by 1895 and along Peachtree Street (to Brookwood) by 1900. In 1904, development on Ansley Park began. By the 1920s, Tenth and Peachtree had become the nexus of a significant shopping district for the surrounding neighborhood. The 1910 Encyclopædia Britannica listed Peachtree Street in Midtown as one of the finest residential areas of the city, along with Ponce de Leon Circle (now Ponce de Leon Avenue), Washington Street, and Inman Park.